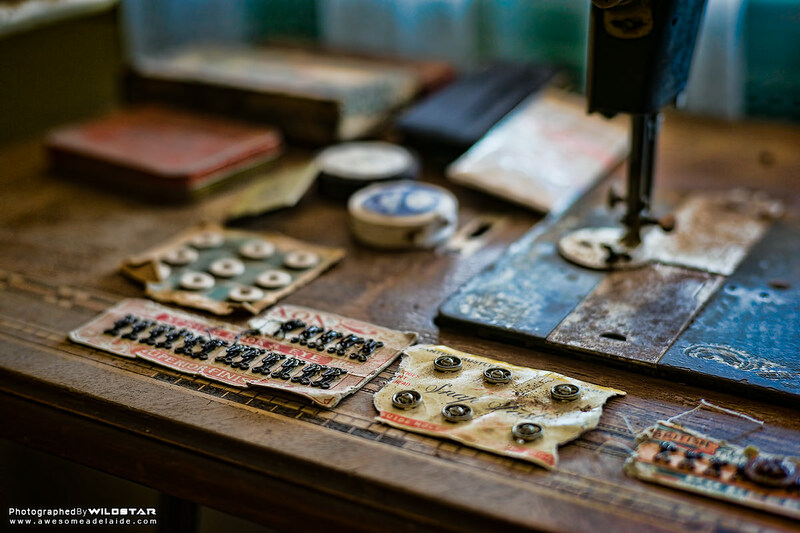 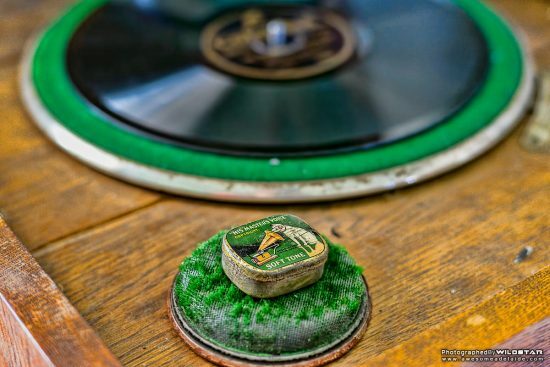 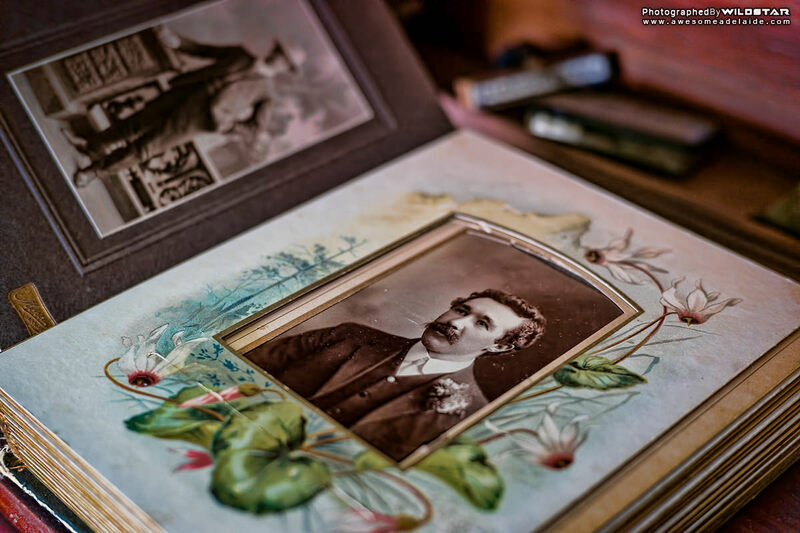 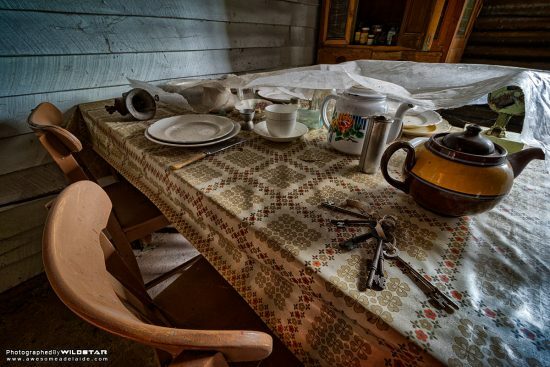 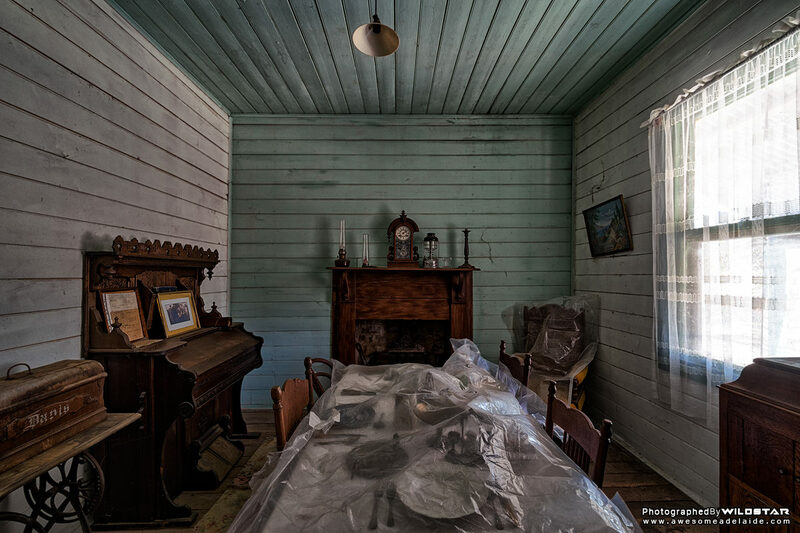 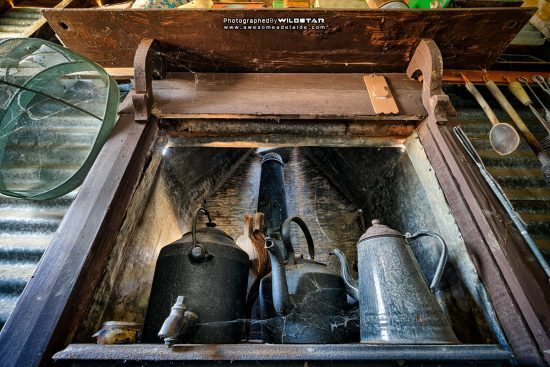 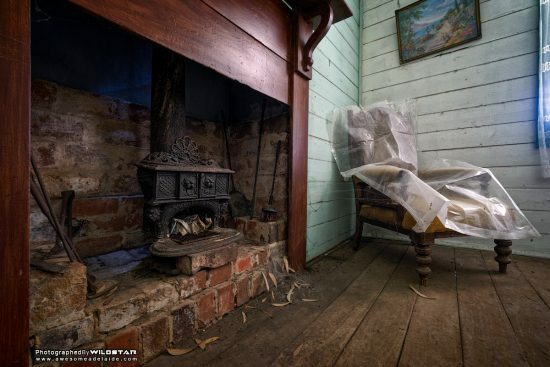 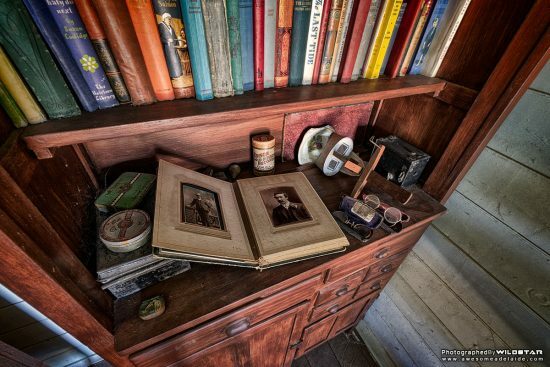 Most explorers will tell you it’s rare as hen’s teeth to find a place that’s old and full of its original contents – as if its occupants just got up and left, leaving their belongings behind. 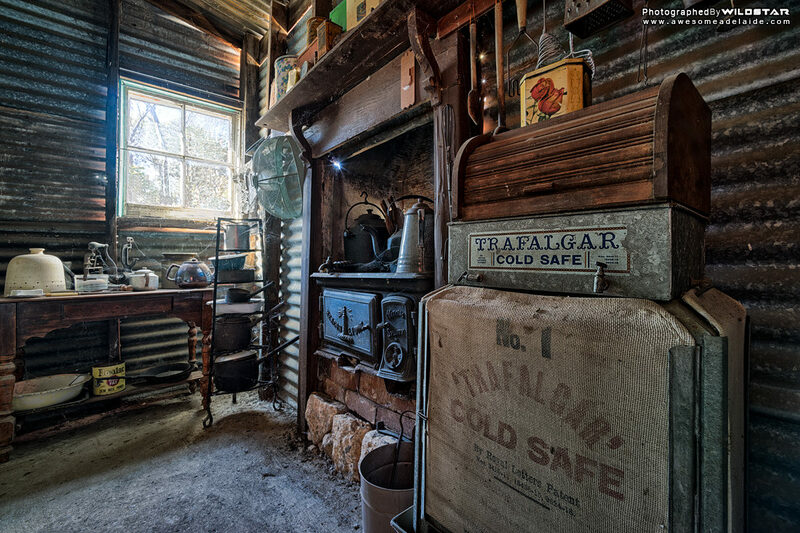 And so it came as a bit of surprise when I opened the door to this place; a cabin way out in Adelaide’s rural scrubland. The cabin may not look like much, but in its day it was exceptionally modern. The high roof would have reduced the effects of South Australia’s hot climate. 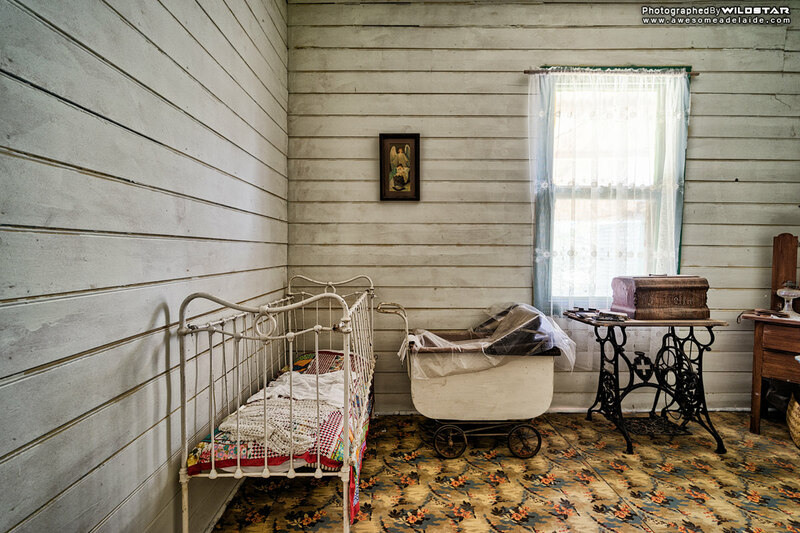 Sawn redgum flooring would have been chosen for its durability and strength. 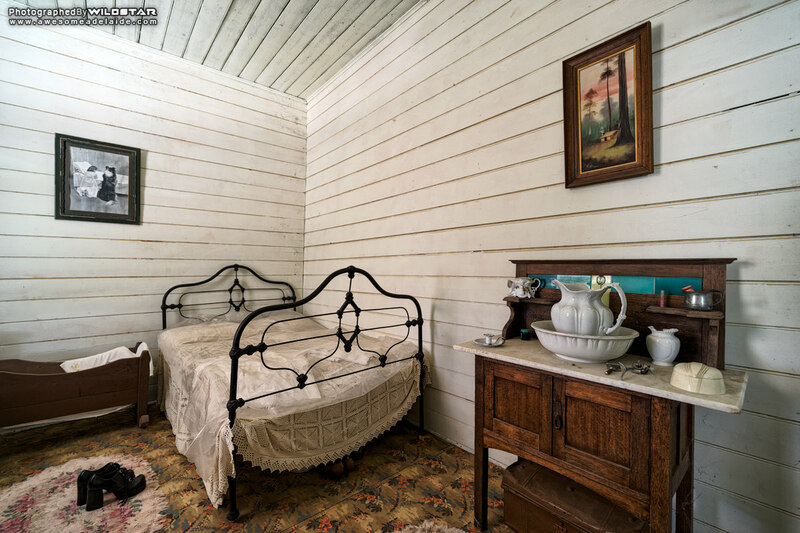 Timber cladding selected for its decorative and sound-absorbing finish. 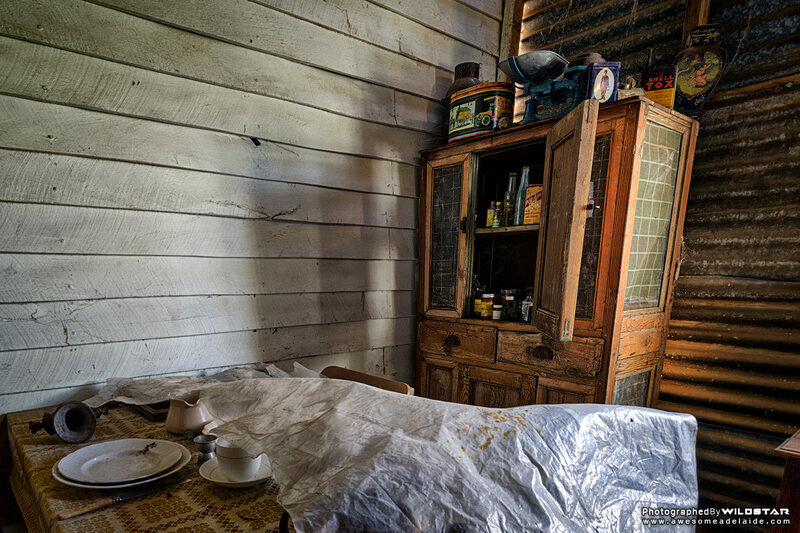 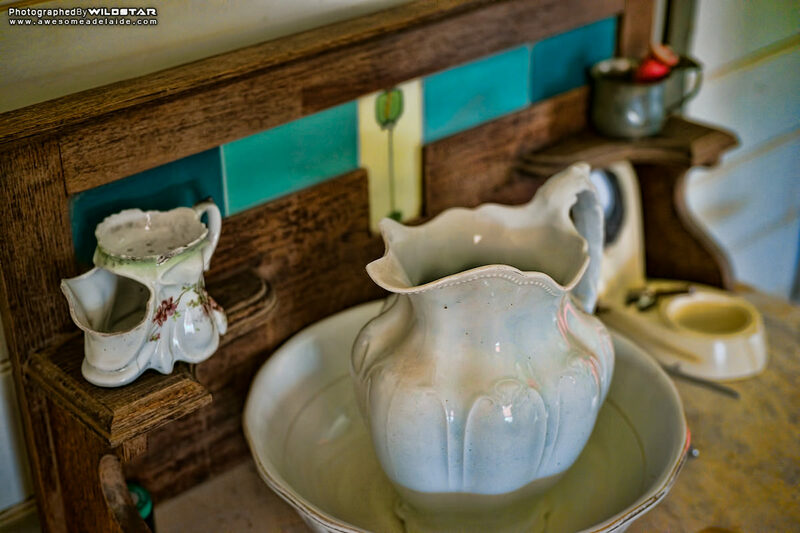 Cupboards overflowed with household items from the 1920’s and 30’s. A bottle of Bickfords Tasteless Castor Oil sat high on a shelf gathering dust. 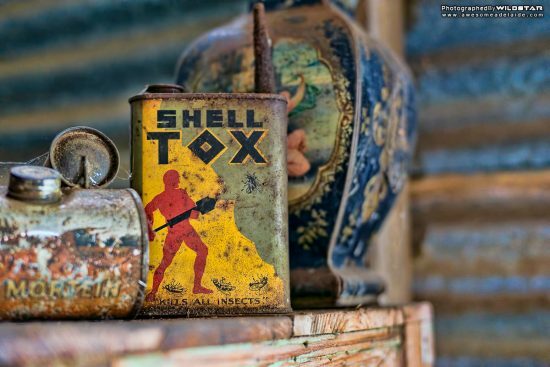 Long before Raid-brand insect spray existed, Shell Tox delivered its convincing concision: “Shell Tox Kills”. 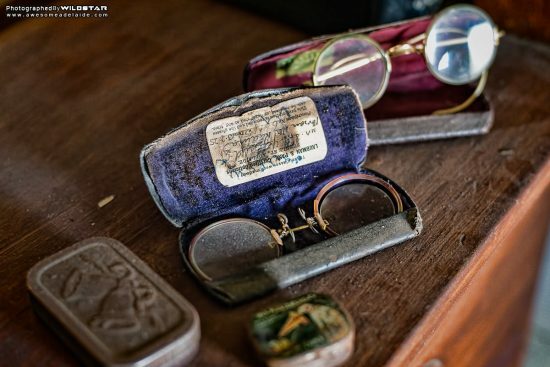 A pair of Laubman and Pank spectacles from the 1920’s nobly displayed its Adelaide origins. 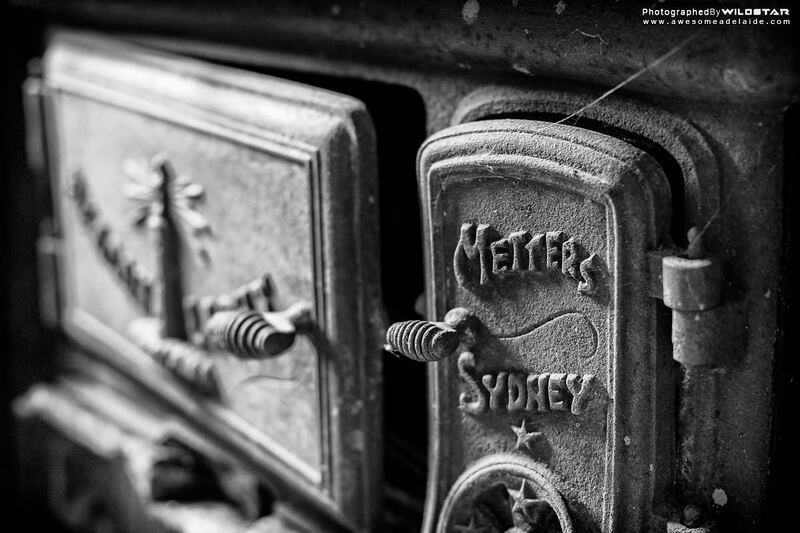 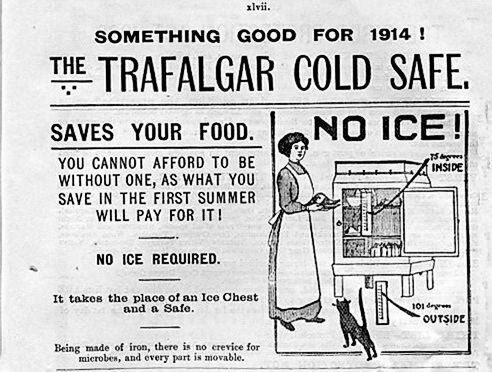 The Trafalgar Cold Safe, invented in Australia in the late 1800s and promoted as “Cold Storage Without Ice” sat proudly in the kitchen. 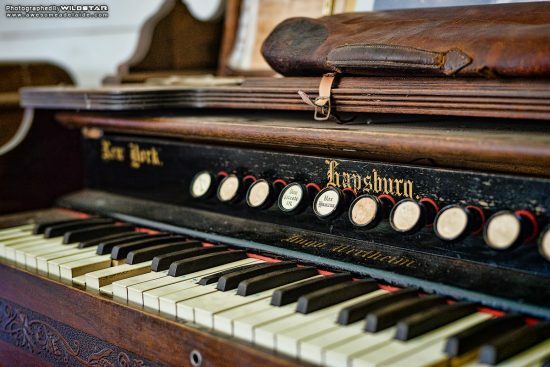 The Hapsburg Beale piano, unopened for years and covered with a thick layer of grime, no longer permeated its sound through the house. One of the many disused houses I’ve been in, this one was unique. 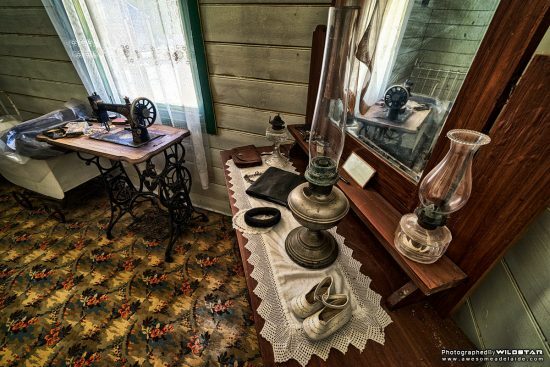 It was a chance to step back in time and ponder the joy and hardships this family once experienced. Hopefully, in the years to come, when I return to this cabin-in-the-woods, it will be just as I left it, left frozen in time so I can experience it once more.